Use Truck Lettering too create a cost effective mobile billboard. Whether you are in need of quick and inexpensive DOT Lettering or decorative lettering, Chief Sign's can get it done. Whatever your needs may be Truck Lettering offers you endless possibilities. Avoid the hassle and mess of painted letters with a custom vinyl lettering solution to suit all of your lettering/numbering needs. 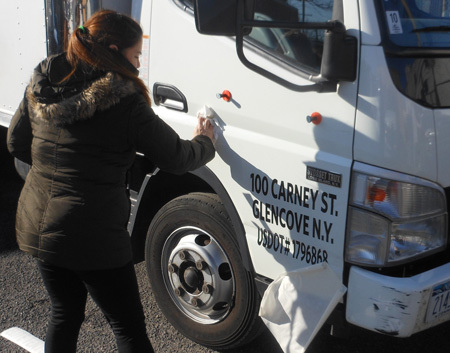 Vinyl lettering is an excellent and cost effective choice for Truck Lettering. Upload your Vinyl Lettering design today, or ask us for a design to suit your purpose. Leave it to Chief Signs to assist you with all of your Truck Lettering needs. 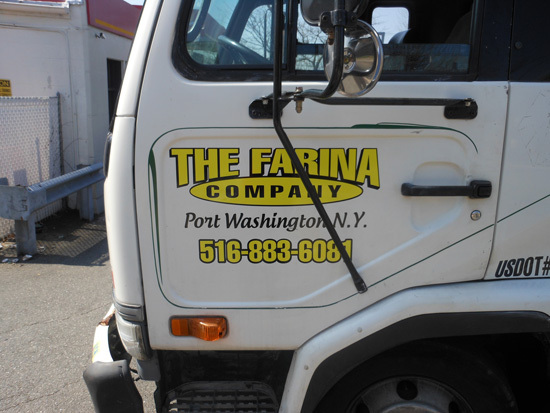 In Port Washington, NY and all of Long Island, Chief Signs is the premier source of custom Truck Lettering. We install DOT lettering at our location while you wait, or we can send our installers to you.